Kilsyth International Carnival Society (KICS) Taiko drumming group the Demon drummers, is currently performing at festivals across Scotland. 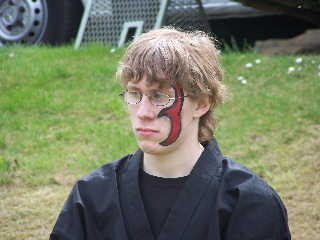 These pictures and videos are from recent festivals at Edinburgh, Helensburgh, on the Clyde, at Strathclyde Country park, and Lauriston Castle, Lothian. 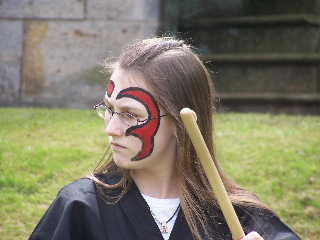 Kirsty Hamilton, a professional Taiko drumming instructor who learnt the craft in Japan, has been appointed by KICS to head up the musical programme. 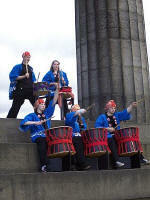 Kirsty: "Taiko is a new fusion of Jazz and traditional Japanese drumming that appeals to everyone. You can't really describe it - you have to hear it, experience it live to appreciate it." 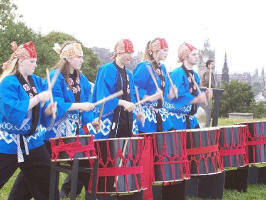 In July 2007 Quavers Music were awarded a grant from the Youth Music Initiative informal sector fund to run two weeks of Japanese Taiko drumming workshops at the Craighalbert Centre in Cumbernauld. What made this project particularly exciting is that the workshops formed part of the Centre's summer outreach programme for young people with motor impairments. 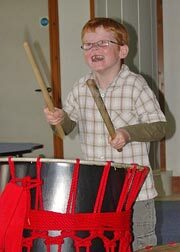 Quavers Music were already working with younger children with cerebral palsy at the Craighalbert Centre, but the Demon Drums project allowed them to extend their work to the 8-16 age group. Two separate groups of young people had an hour-long Taiko drumming session every day for a week - each group had less than 10 participants, which meant that the specific needs of the young people could be addressed and the workshops could be highly tailored to the individuals. 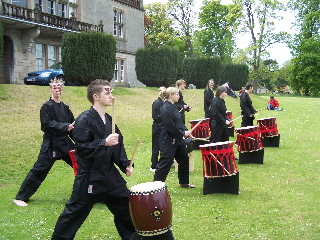 Kilsyth International Carnival provided authentic Taiko drums for the workshops as well as hand gongs and a huge 60cm traditional gong which was used to great effect! The advantage of Taiko drumming to this group of young people is that it traditionally uses co-ordinated 'kiai' energy shouts and movements as well as drum rhythms. This meant that in addition to encouraging participation in music making, the project helped achieve movement and vocalisation goals. 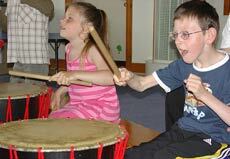 Both weeks of drumming workshops were a huge success. 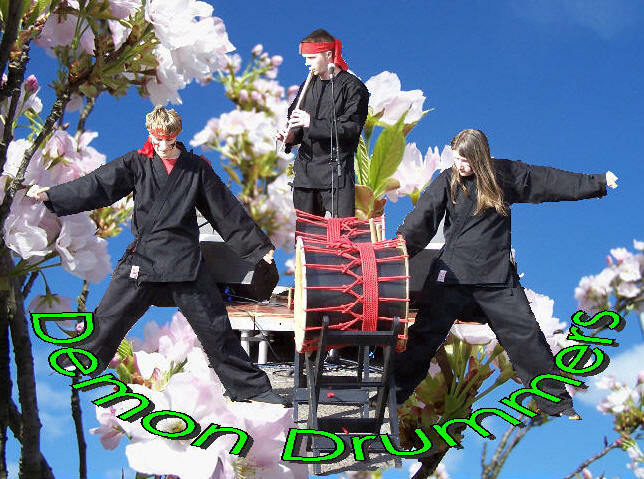 Comments from the young people ranged from "It was very good fun" and "I like standing up and doing the noisy drums" to one child who had very little speech but gave the project a big grin and thumbs up! When asked which bits they liked best, participants highlighted the chance to speak Japanese and the tutor who made the workshops fun as well as actually playing the drums. 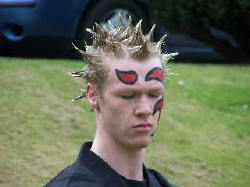 One boy's favourite part was "the freestyle bit because you can do whatever you want to do". 'All kids stated that they would love to do it again'. 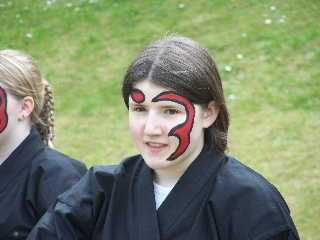 All the young people who took part in the Taiko workshops were very quick to learn new musical skills like keeping time, mastering a rhythm sequence and varying tempo and volume. A key aim of the Youth Music Initiative is to provide opportunities for music making to young people who would not normally have the chance, which here resulted in a whole new set of skills for everyone involved. Another aim is to encourage creative music-making, and the chance to drum 'freestyle' was evidently popular because of this creative element. 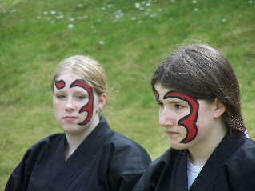 However, there were more than just musical benefits to the workshops. 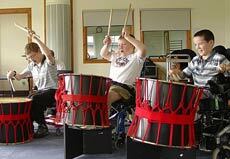 Learning Taiko drumming improved physical co-ordination, stamina, posture and vocal skills, all of which are vitally important to a group of young people with motor impairments. 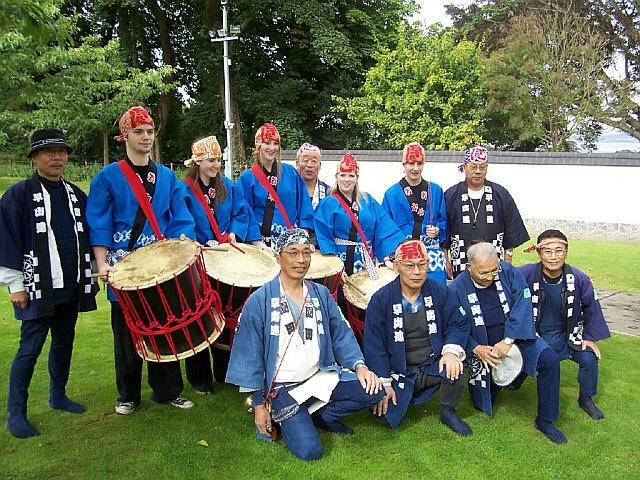 An unexpected outcome of the project was the knowledge about Japanese language and culture gained by the groups, who were more interested in finding out the context behind the drumming than had been anticipated! At only £500, Quavers Music's application to the Youth Music Initiative Informal Sector fund was the smallest received so far - but they have used the grant to make a huge impact. 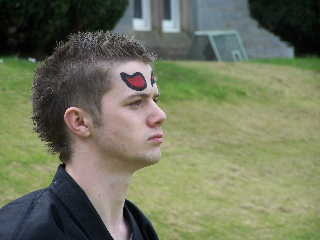 It is clear from the photos and film of the workshops and performances that the young people involved not only had a great time but gained in confidence and ability through their experiences. 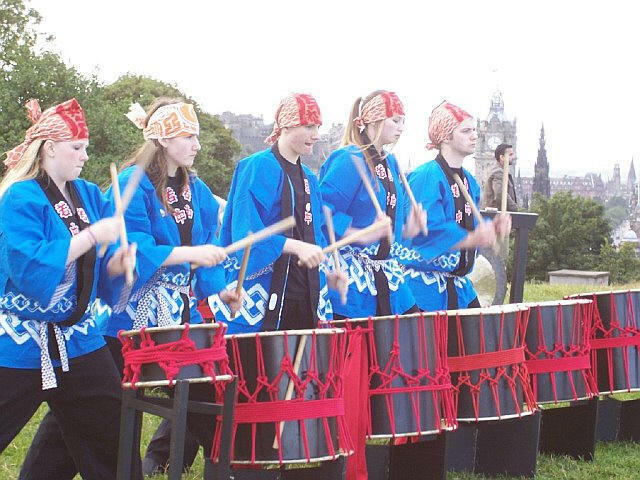 To find out more about the Youth Music Initiative Informal Sector fund, please visit the Scottish Arts Council funding pages. 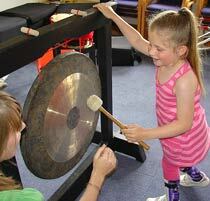 For more information about Quavers Music, contact Kirsty Hamilton.